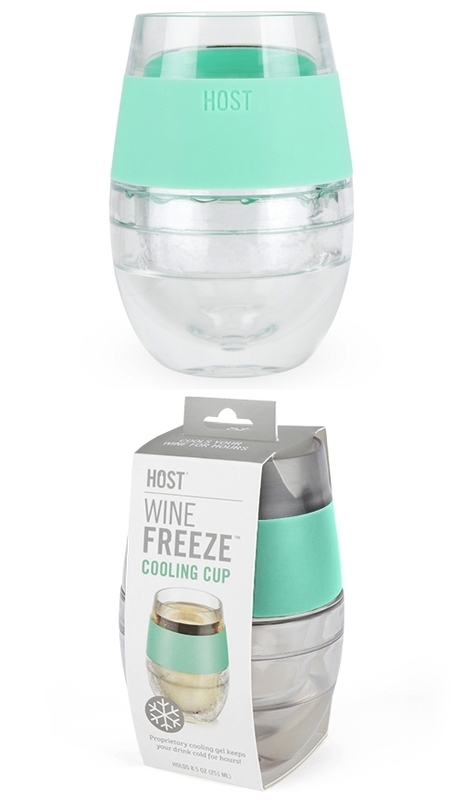 The Wine FREEZE™ cooling cup in mint green is perfect for all wines. Just pop it in the fridge to cool your reds to the perfect cellar temperature or store in the freezer to chill your whites. HOST®'s proprietary cooling gel is precisely engineered to keep your beverage perfectly cold for hours. "I love your affordable personalized favors. Thanks for offering these. I had a great time shopping the site again this year. Everything you have done for me in the past has been great, so I'm sure I'll be thrilled" Collita J.